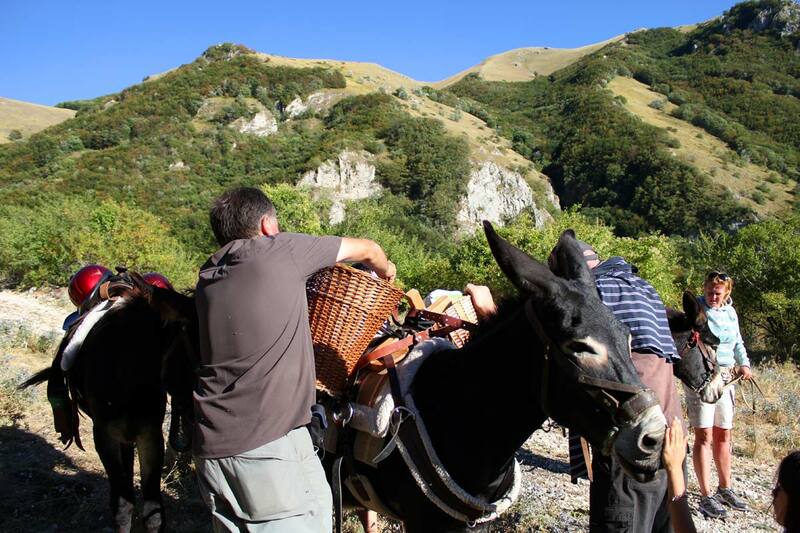 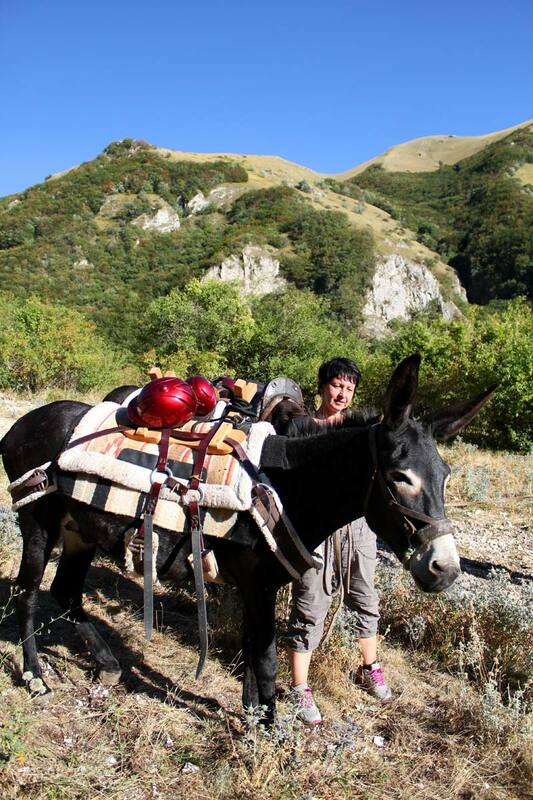 In Castelluccio, as in many other similar mountain areas, mules and donkeys were an integral part of the life of the local population. 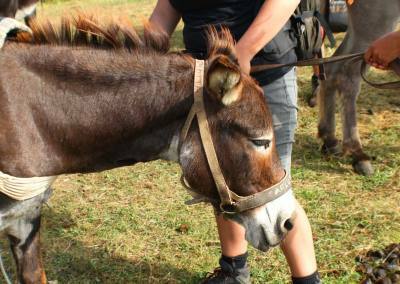 The mules, especially, were used as means of transportation for people and things, especially here they were used during the cutting of the wood, and still are used where the forest (bush) is inaccessible to mechanical means. 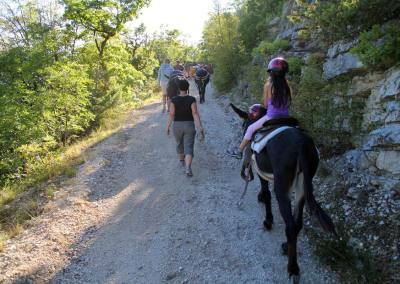 From “Mule” was born the term “Mule track”, ie those paths, trails on the back of an animal, which united the various mountain resorts, hiking trails in some cases turned into driveways, but for the most part are now the exclusive ground for hikers. 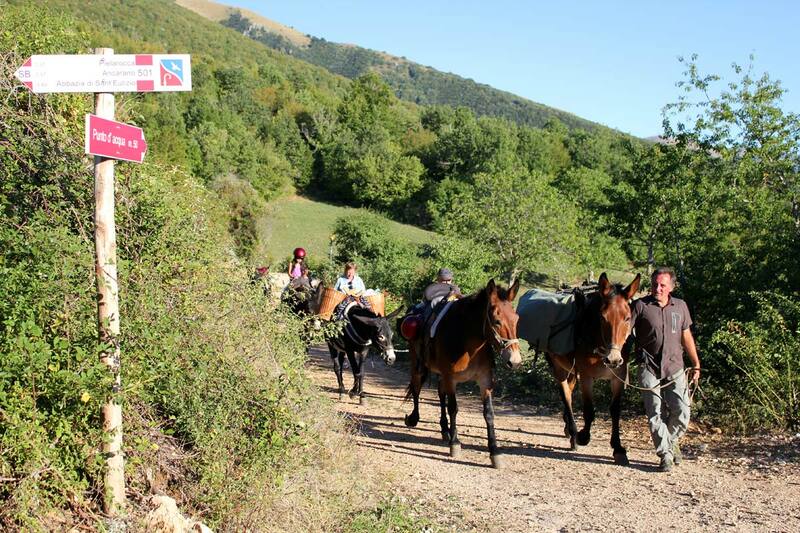 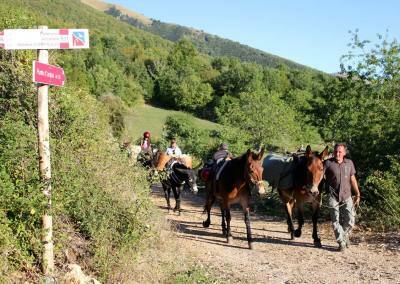 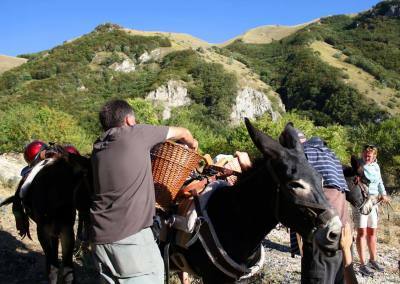 In Castelluccio you can participate in an unusual trekking, men and mules on their way along the old mule tracks, animals will transport the material from the field and heavier luggage of travelers, who not only have to walk and fully breathe the magical atmosphere of the landscapes still intact in the Sibillini Mountains National Park. 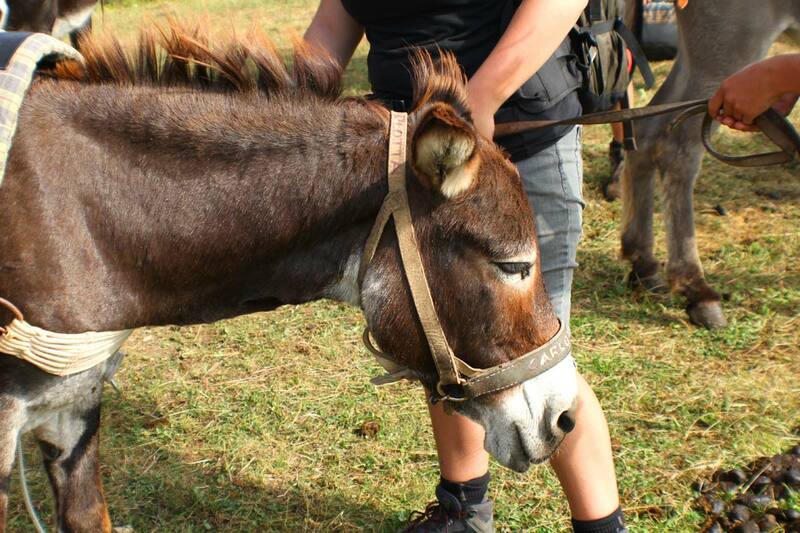 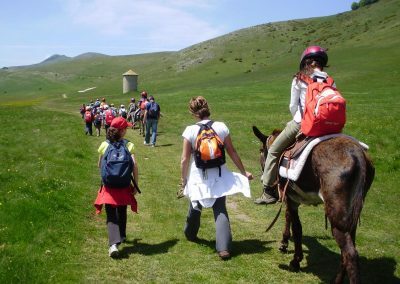 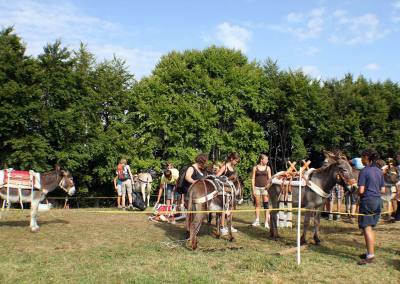 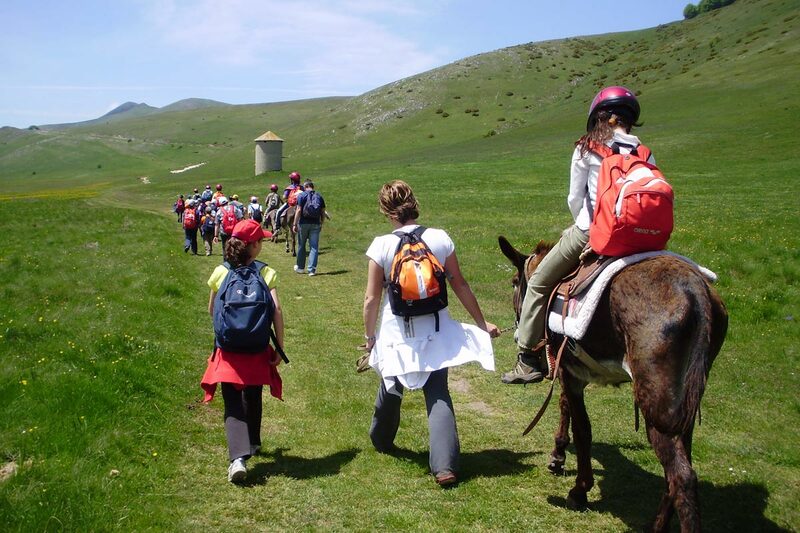 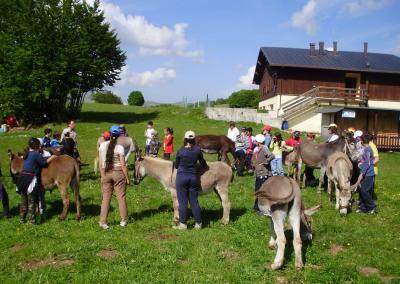 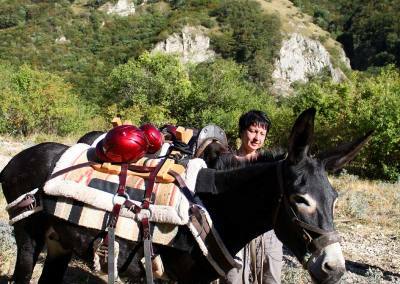 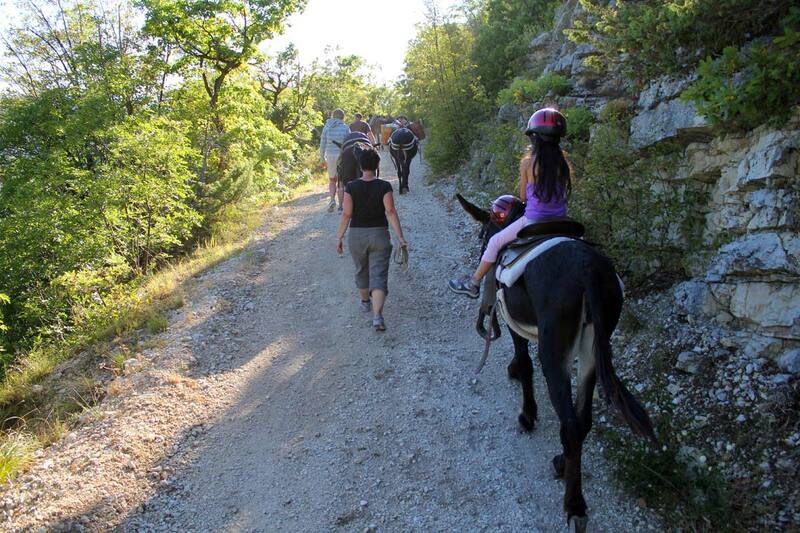 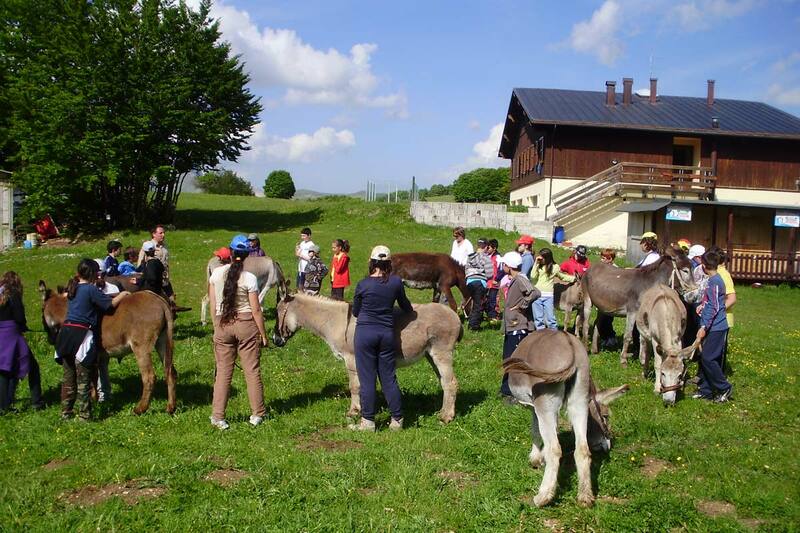 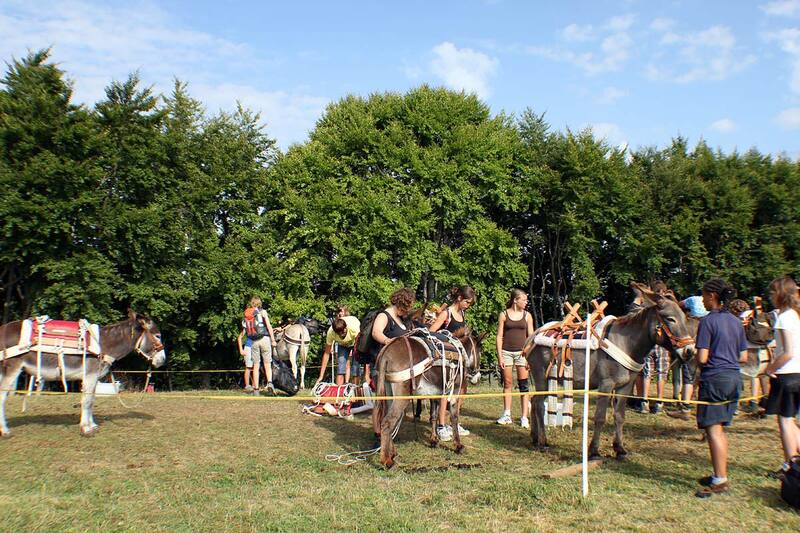 And for the little ones you can make the joyful walks in the company of sweet donkeys, near Castelluccio and in the Pian Grande.